Here we are, 2019; another day, another dollar, another Legislative session. The 65th Legislature of the State of Wyoming has a lot on its plate, and one of them is education. Ironically, another item on their plate is criminal justice reform. One might ask why I would link two polar topics; after all, what do our bright-eyed students have to do with prison reform? Actually, quite a lot. According to the Casper Star-Tribune, the cost of housing an inmate in Wyoming is $131 a day. Due to prison overcrowding, as of Jan. 10, at least 67 ‘low risk’ prisoners are being held in county jails at state expense, and at least 90 inmates have been sent out of state to be housed by a private prison company. This exportation of prisoners will cost Wyoming $6,338 per day plus more than $52,500 for transportation to Mississippi. The Star-Tribune also highlighted FBI statistics that demonstrate although national incarceration rates have dropped by 10 percent, reflecting a drop in crime, Wyoming’s incarceration rate has gone up by 8 percent even though Wyoming’s crime rate has also dropped. 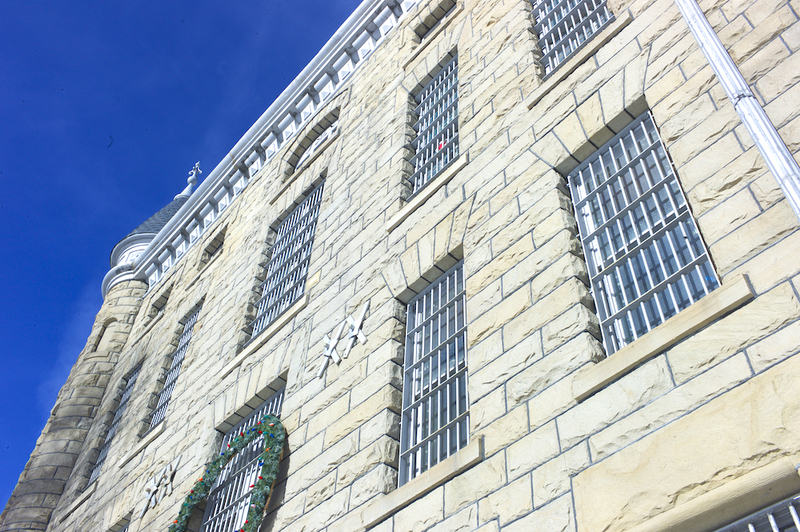 The Wyoming Department of Corrections projects that with this continual increase in prison population, the state will have to pay at least $50 million more by 2023. Now, let’s take a look at education. The 2018 Education Snapshot, an annual publication by the Wyoming Department of Education, specified the graduation rate for 2018 hovers at 80 percent. During 2018, the state guaranteed each district $15,624.21 per pupil. Alliance for Excellent Education’s “The Graduation Effect,” suggests an increase of a graduation rate to 90 percent would bring over $60 million to Wyoming’s economy. 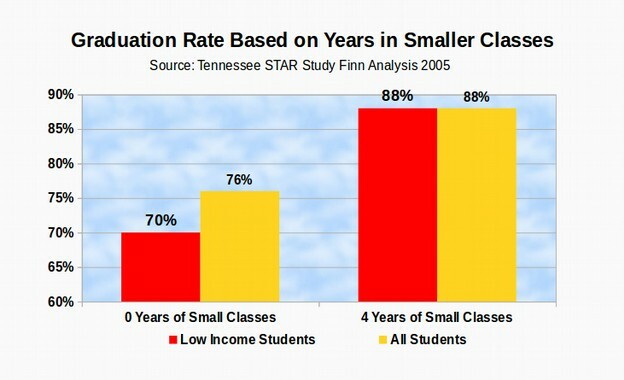 The STAR study demonstrates a clear relationship between small class sizes in grades K-3 and higher graduation rates. Harvard University’s “Review of Economic Statistics” published a study which reported a 10 percent increase in teacher salary increases graduation rates by 3 percent to 4 percent. A 2016 study indicates that between 1994 and 2015, teacher pay eroded from 1.8 percent lower than comparably educated employees to 17 percent lower than comparably educated employees. A study in the American Education Research Journal states that 30 percent of new teachers leave the profession within five years. That rate increases to as much as 50 percent turnover in high poverty schools. Additionally, this study also demonstrates that “teacher turnover has a significant and negative impact on student achievement in both math and ELA”. The degree of negative impact increases in high poverty schools. Now, the tie-in. A study by the Center for Labor Market Studies indicates that high school dropouts are more likely to be incarcerated. Only 0.1 percent of individuals with a college degree were incarcerated vs. 1.0 percent of high school graduates with no college degree, and 6.3 percent of high school dropouts. That means that high school dropouts were 63 times more likely to be in prison. In Wyoming, according to a 2014 report, 20 percent of inmates have chosen to obtain either an ABE (Adult Basic Education) or a GED certificate. The average daily population of inmates in the Wyoming Department of Correction facilities for fiscal year 2016 was 2,434 (Wyoming Department of Corrections Report, n.d.). Thirty-six percent of inmates enter WDOC facilities without a diploma or GED, and 75 percent of those leave with High School Equivalency Certification (Wyoming Department of Corrections Report, n.d.). At $131 per day for in-state incarceration, the state is spending $47,815 per year per inmate vs. $15,624.21 per high school student. Let’s take these numbers a bit further. High school dropouts have a negative net fiscal contribution to society of about -$5,200 while the average high school graduate will have a positive net fiscal contribution of $287,000 over their lifetimes, according to the 2009 study from the Center for Labor Market Studies. A high school dropout earns about $10,000 less per year than someone with a diploma, and $36,424 less than someone with a college degree. Joblessness among high school dropouts averages about 12 percent with a poverty rate of 30.8 percent, according to a Frontline report. According to the latest report by Spotlight on Poverty, Wyoming has 1,250 families receiving welfare, and 16,000 children with food stamps with a poverty rate of 11.3 percent. Why, with these numbers wouldn’t any state invest in education at three times less the cost of incarceration, with the taxpayers losing $292, 000 in lower tax revenues, higher cash consumer expenditures, more welfare dependence and incarceration costs over a lifetime? If Wyoming invests its money into education with lower class sizes and commensurate teacher compensation to raise the graduation rate, the state stands to make money in terms of having workers with higher incomes, less dependence on welfare, and fewer prison inmates. Smart investment in education ultimately saves the state millions. Jeanne Raney is a speech language pathologist who has worked in preschool, public school and medical settings working with the special needs population. She has a master’s in communication disorders from the University of Minnesota, recently completed a master’s of jurisprudence in child law and policy from Loyola Law School, Chicago, and is currently completing her administrative certification through the University of Wyoming. She lives in Sublette County. The really shocking statistic I s 20% of students do not graduate from high school. Although, that is up slightly from 50 years ago. A high school education is the bare minimum in this day and age of artificial intelligence and robots. Not to mention, it’s a global economy and there’s more competition out there.